What I like right now. I've been meaning to write a #FridayFavourites post all week, but with kids having nightmares and keeping me up at night, binge watching Netflix shows until after midnite, and dealing with a bunch of jerky MRAs and Gamergaters Friday morning, I just didn't have the energy to finish this one until today! So without further ado, here are some of my favourite things right now. 1. Sometimes you go shopping with your twenty-something, absolutely gorgeous cousin-in-law and she convinces you to buy a hair product that you didn't know you needed until that moment. That is what happened a few months ago and, what can I say, the girl knows her hair products! The Bumble and Bumble Pret-a Powder is quite simply AWESOME! I always thought that dry shampoos or powder volumizer products where only for people with long flowing locks, but I was wrong. Very, very wrong. A quick shake of powder into my hands and then rubbed into my roots gives my short style just the right amount of volume it needs, whether it is a no shower day, or after the gym or just to zhoosh up my coif before I head out the door! A little goes a long way with this product, and I think it is well worth the $30 price tag for the 2 oz bottle. 2. I really like coffee. Not drink a whole pot kind of like, more of a "make me a nice latte and sip it in a cafe" kind of like. The problem being that $5 a day for a coffee eventually adds up to $1800+ a year and that is just plain ridiculous! When I cracked the carafe of our 11-year old coffee maker earlier this year, I crowdsourced my friends online as to which machine I should replace it with. Turns out you don't actually need a machine to make the perfect cup of coffee. You just need an Aeropress! And it only costs $35 from Amazon.ca. I am pretty sure that now, after only a few months of using it almost daily that my barista skills have improved to the point where my home Flat White is pretty much on par with one from Starbucks and costs me a fraction of the price! I make mine like this guy - minus the 3 minutes of steeping, because I don't like my coffee to taste too bitter, and I add warm milk instead of more water - and I am never going back to drip coffee again! 3. I am spending a lot of time at my gym lately and as such, I am in leggings and workout gear 4-5 days a week. I caved a few weeks ago (after many newsletter emails and ads on Facebook), signed up for Fabletics and ordered 2 outfits. They arrived late last week and I immediately tried them on and was pleasantly surprised by how much I really, really liked most of it! I say most, because I am returning/exchanging two items (a tank top that really doesn't have a back and falls weird on me, and the bra top that I need in a bigger size). The capri leggings that I ordered are AMAZING and are a bit compression-like with a lovely fold-over waist and the black joggers are threatening to become my spring/summer wardrobe staple this year. The other top I am keeping is wonderful (see picture below) and a total keeper. I am not sure I'll be up to getting a new outfit every month and will likely opt-out more than I will opt-in for the monthly subscription, but so far I am loving my purchases and will definitely get a few more of the pants/leggings! And if you use this code, you'll get a discount on your first purchase too! 4. I have a thing for any and all movies about dance crews, cheerleadering squads and drumline bands. And it seems I have passed this down to my kids as well. A few weeks ago, we all sat in front of the TV completely enthralled with the struggles of the rag-tag dance crew of the latest in the Step Up dance movie instalments, Step Up: ALL IN. Something must have clicked for my son while watching the smooth moves of the SYTYCD contestant-filled cast, because as soon as it was over, he asked if I could find him a hip hop class, so he could dance "like those guys in the movie". Enter 3rd Street Beat Studio, "...the first all hip-hop dance studio in Edmonton, designed to educate and train students in the many diverse dance styles authentic to the street dance culture. At 3SB students are immersed into this culture from the moment they step into the classroom." This is 100% true! C has been going to the youth drop in class for the past three weeks and it really is the coolest place and he is learning and discovering a dance style that speaks to him and he is loving it. And I can not tell you the joy I feel when I see him conquer a complicated new move or routine! If you are local to Edmonton and looking for something different for your kids, you must check this place out. They offer all kinds/styles of classes from "Funky Tots" toddler classes, to competitive adult classes, and every style that you can think of in between! 5. One of my favourite days on our recent trip to Maui was when we ventured into Upcountry and spent the day exploring the Kula area and the wonderful old town of Makawao. The shops and art galleries in this town really are a special treat and it is so nice to be away from a lot of the more tourist-y areas on the island. In one of the shops we found the most amazing candles and I fell in love with one in particular. We decided not to get it that day because it was in a glass jar, and one or both of the kids were complaining loudly about their inability to find yet another shave ice place. When we got home, my lovely husband surprised me and had ordered the candle online. It is now my most favourite candle ever and makes my house smell ridiculously amazing and reminds me of that lovely day (and yes, we eventually found the shave ice place). 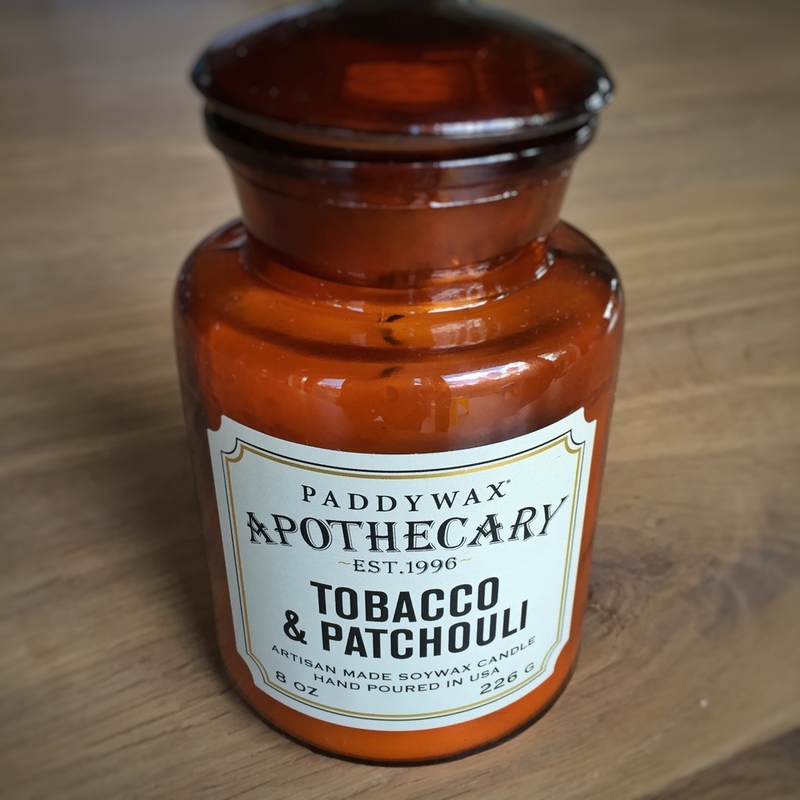 You too can find such bliss, at least in candle form, online at paddywax.com. That's it for this month's favourite things. What about you? What do you love right now? Share you faves with me in the comments!